If a vehicle displays no license plate, the driver has offended multiple articles in the Road Traffic (Registration and Licensing of Vehicles) Regulations, Cap 374E of the Laws of Hong Kong. 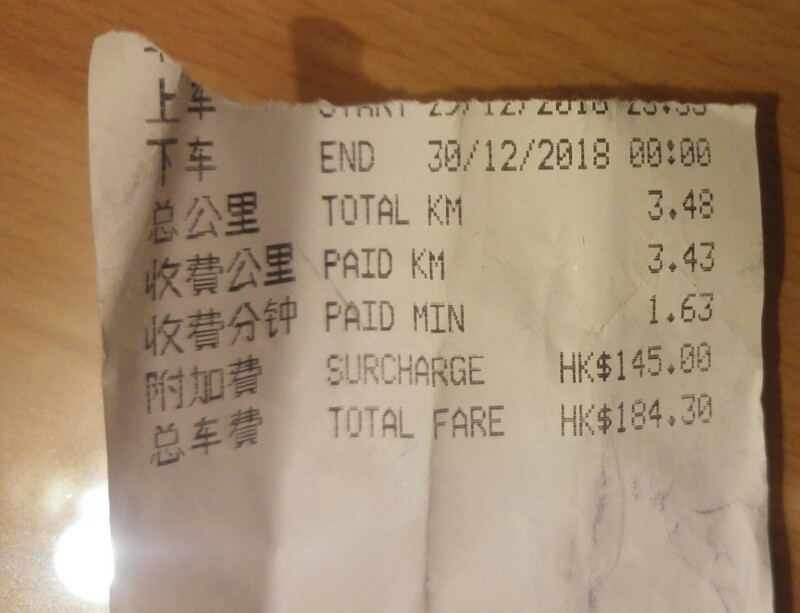 This is a criminal offence, and can be punished by a fine of HK$2,000 at the very least (and IIRC, loss of driving privileges). So, in this case, you should gather whatever information you have and call the police at 999. At the same time, you should also lodge a complaint with the Transportation Complaints Unit and provide all available information, explaining that the driver doesn't have a license plate on display. Then, you can only pray that the police catches the offender and punish them. The police do have a small chance of finding them, but you shouldn't plan on it. If they can't help you get your money back even if the offender was found (unlikely case), you may be able to sue them in the Small Claims Tribunal if you really want your money back. No legal representation (i.e. barristers) are permitted in the Small Claims Tribunal, so no worries about legal charges. Not the answer you're looking for? Browse other questions tagged hong-kong taxis scams or ask your own question. Can I spend Renminbi in Hong Kong?